When you get a nice watch, one of the most important things to do is finding yourself a good watchmaker. You can easily take it back to the brand for a repair (if they offer it), but it will typically cost you a fair amount to get any type of service done. Because of this, independent watchmakers abound. There are many good ones, but there are also a lot of bad ones who will take your watch, spray it down with WD-40 and call it a day. For this reason it is a good idea to do your research and find a watchmaker who has what it takes to do right by your timepiece. Total Watch Repair is a stellar watch repair business that’s been located in Los Angeles for nearly 25 years. Many in the watch community trust them with their precious watches including a few who are authorities on the luxury watch industry. But I’m not here to talk about their watch repair capabilities, though they are great, I am here to let you know about the straps that they offer. 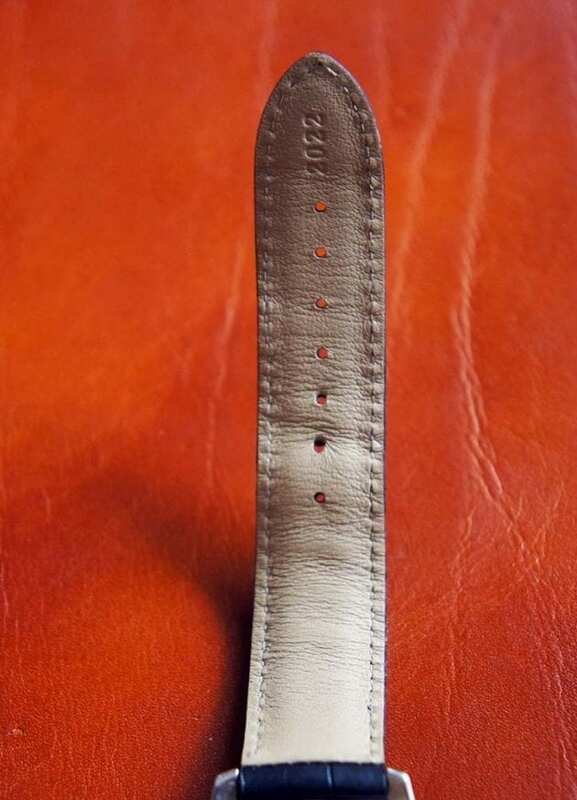 After a few years of constant wear, the strap or bracelet can look less than presentable. To give your watch a fresh look or simply to shake things up a bit, all it takes is a new watch strap. By changing the strap, you can dress up or down your watch, making it a way more versatile piece of your wardrobe without too much cost or effort. Total Watch Repair offers a wide selection of straps as well as the option to change it during a service. They have all of the major watch strap manufacturers along with almost any style you could want. I decided to try and dress up my Omega Seamaster by changing the bracelet out with Hadley Roma Black Alligator leather strap. 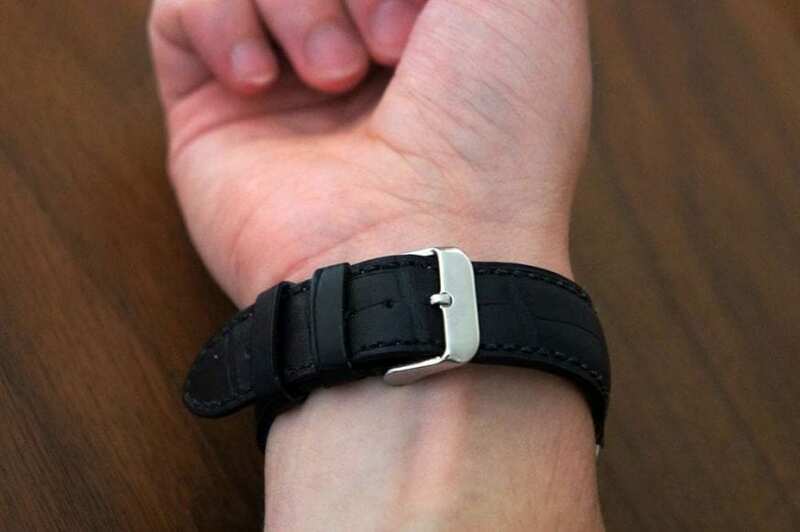 When you purchase a watch band from Total Watch Repair, you can expect to get a quality strap. This gator strap is no exception. Hadley Roma is the standard of watch strap makers. They produce sturdy leather bands that will take a beating and still look good and they do it at attractive prices. The one I received is made from an excellent cut of black Louisiana Alligator leather top and tan calf skin backing and is stitched with black thread. I have several alligator and crocodile straps at varying price points and this one has a similar feel to the best of them. There were a few corners cut, such as burnishing of the edges and the thickness of the thread and edge. I definitely think that these are acceptable sacrifices since the leather itself is of excellent quality and the price of the strap itself. 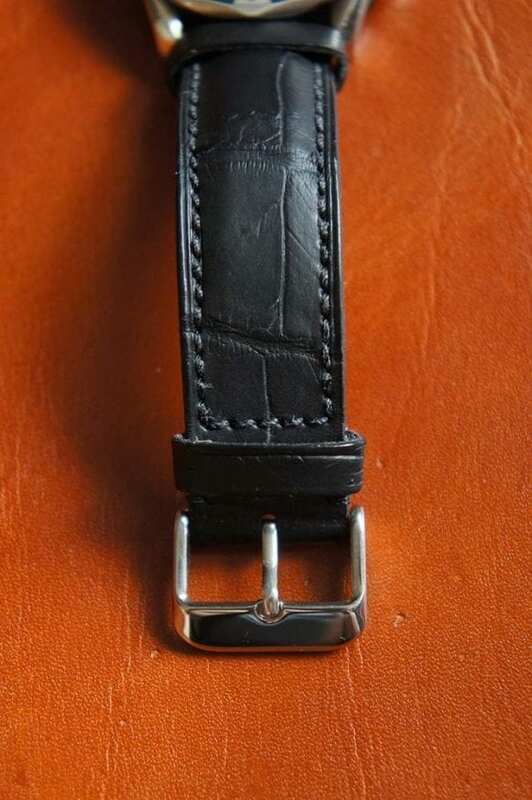 If I were to get this specifically for a dress watch, especially a high-end dress watch, I would splurge and get something with a little more refinement, but for the majority of buyers, these small imperfections will not be noticeable nor will they affect the sturdiness of the strap. If you are wondering, “why alligator?” the answer is simple. 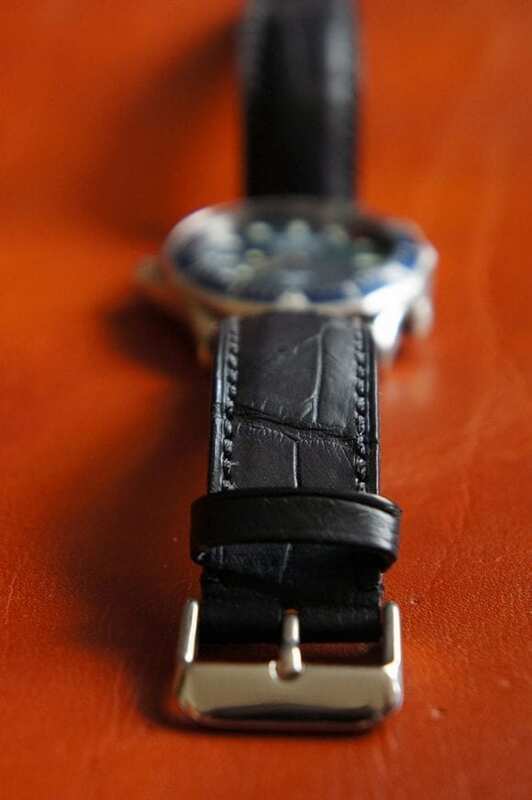 Alligator is quite possible the most comfortable watch strap leather. It takes no time at all to break in and it doesn’t break down like cowhide does after repeatedly bending the tongue back and forth through the buckle. 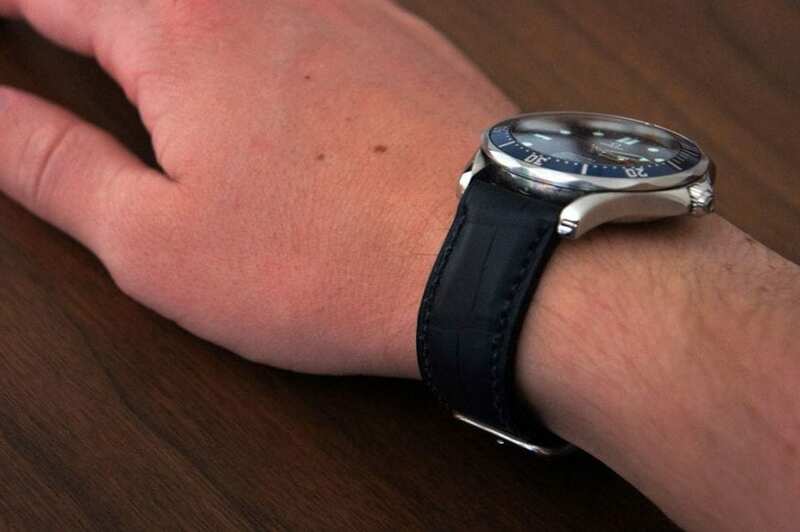 On top of being extremely comfortable, alligator leather can make almost any watch ready to be paired with a suit. It is a naturally dressy leather, especially when it is black. The Hadley Roma band is pretty classy. 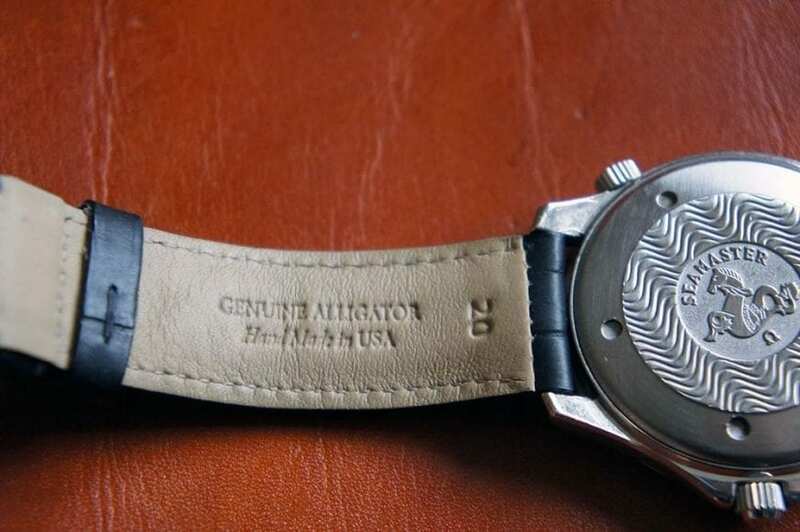 I wouldn’t feel comfortable wearing this with a t-shirt and pair of jeans because, in my opinion and the opinion of many others in the watch industry, black alligator is strictly a dress material. Even though dress standards have laxed since the Carter administration, this code has stood the test of time. With that said, the black alligator really dresses up the tool watch and makes it ready for my next black-tie event. The scales add a nice texture too. Hadley Roma is the best major, all-purpose strap maker out there. Their straps are bargains for the quality and craftsmanship and they tend to hold up quite a long time with typical use. The Hadley Roma Black Alligator Strap is no exception. The leather and materials are quality and feel of wearing alligator is worth the price tag alone. 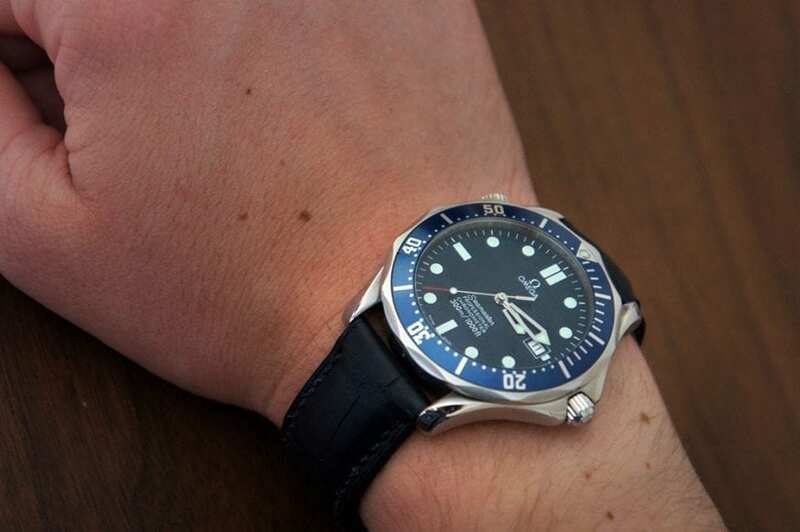 I would definitely recommend anyone who is wanting to spice up their watch and give it a more luxury feel to check out Total Watch Repair’s strap selection. While you are at it, take a look at their services, especially if your watch is in need of a little TLC. 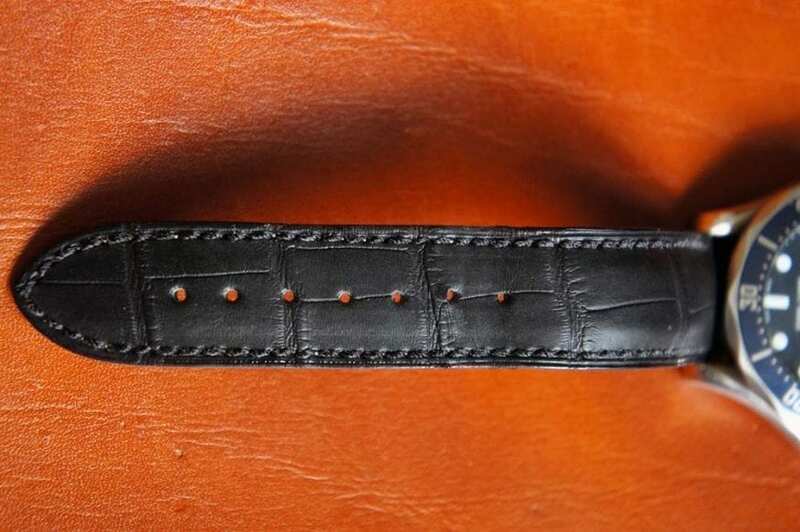 I believe a great, quality piece of leather is art, pure and simple. 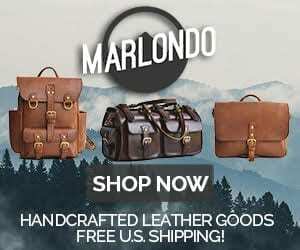 My passion is to share the stories and craftsmanship that make leather goods unique and the greatest form of functional art.